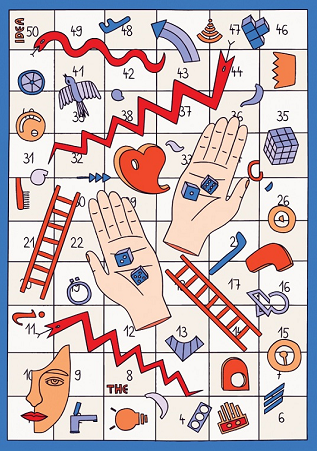 Life is a board game, filled with symbols shortcuts and nasty snails. 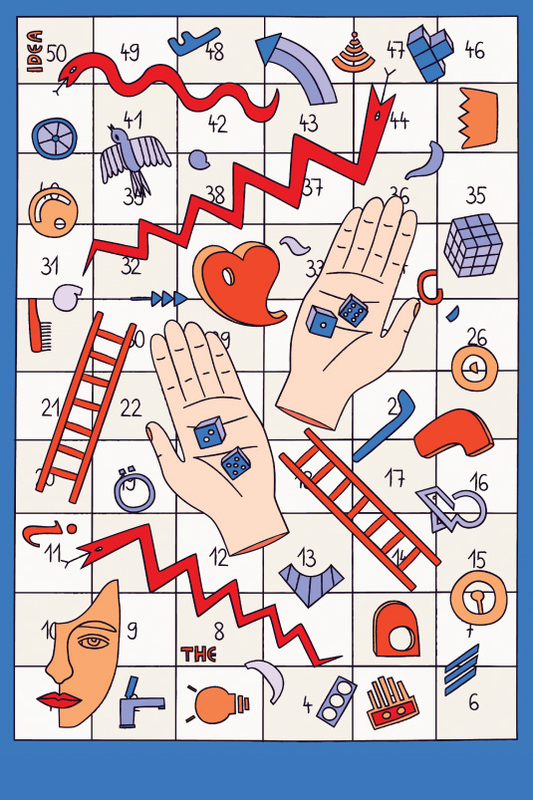 Illustrator / Designer / LBB Talent Martina Paukova’s winning poster was vibrant, esoteric and entirely open to interpretation; all good reasons to fall in love with it. 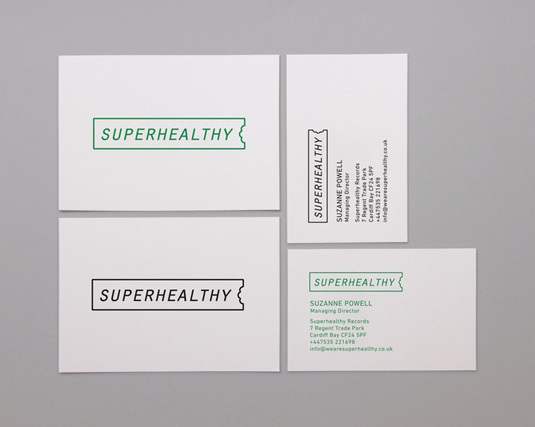 Superhealthy Records: An identity for a Welsh music label. Watch out music lovers. 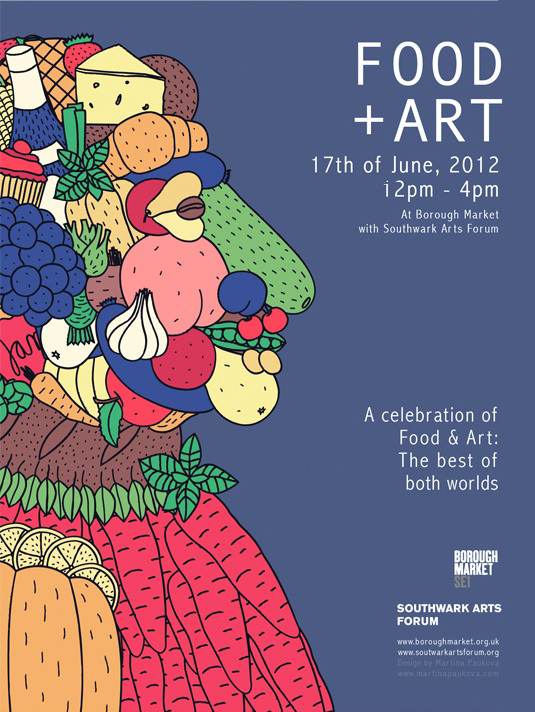 Borough Market and Soutwark Arts Forum: Food and art are subjects definitely worth celebrating. Childhood Heroes: A picture for yet another Power Lunches exhibition. Childhood heroes was the theme. Me as a communist child, a western consumer was the hero. How sad. Not sad at all. Like I said; full of character.